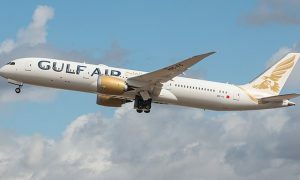 Gulf Air, the Kingdom of Bahrain’s national carrier, has posted its 2014 financial and operational results, the airline’s strongest financial results in a decade. The results reflect a fall in annual losses from BHD93.3 million in 2013 to BHD62.7 million in 2014 – equivalent to a 32.8% reduction. The airline, in 2014, continued to strategically shift from low-value transit traffic through Bahrain to high-yield, high-demand, point-to-point routes focused largely on the MENA region while, in tandem, better utilizing its existing assets to push the business forward. As a result Gulf Air witnessed, over the course of the year, a 15.4% rise in total revenue passengers. In line with the ongoing holistic strategy implemented since Gulf Air’s 2013 restructuring, the national carrier’s financial trajectory remains on a positive upswing reflected by its consistently falling losses as the airline moves closer to achieving full commercial sustainability. In tandem, Gulf Air’s 2014 developments are visible across a broad spectrum of deliverables. 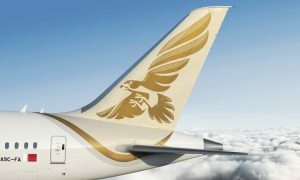 On the network front, 2014 saw Gulf Air maintain its leadership position in the Middle East by operating one of the largest regional networks while balancing its regional stronghold with strategic global links extending to 41 destinations by the end of 2014. Gulf Air’s network in 2014 saw landmark growth with flights launched to 06 destinations in all of Europe, the Indian Subcontinent and the Middle East. 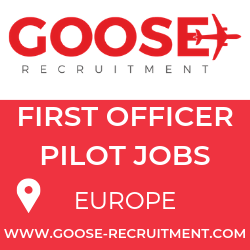 This was further enhanced by the airline’s continuous, dynamic schedule adjustments with increased frequencies to various destinations across its network in response to passenger demand. Strategically utilizing its fleet capability to cater to the airline’s growing capacity and network requirements, Gulf Air’s 28 strong all-Airbus wide and narrow body fleet of predominantly new aircraft underwent specific, targeted enhancements that were completed by the end of 2014. Operationally, 2014 saw Gulf Air’s on-time-punctuality results position the airline as one of the global leaders in on-time-punctuality, with an average annual on-time-performance of 89%. Operating one of the largest regional networks with double daily flights to over 10 regional cities, Gulf Air’s record punctuality facilitates its seamless operations across its network. The year also saw, on the technical front, the national carrier completing its first insourced Airbus A330 18-Month Check at the airline’s base maintenance facility. Channeling its strong in-house technical expertise and further building Bahraini, home-grown engineering skills and capabilities, Gulf Air is moving towards establishing a robust aircraft maintenance system and this most recent development delivered important cost savings while preserving the quality of aircraft servicing. As the national carrier of the Kingdom of Bahrain, and an integral national infrastructure asset Gulf Air continued, throughout 2014, to be involved in key events supporting the local community including taking on the role of official airline sponsor of the Kingdom of Bahrain’s annual International Quran Recitation Contest and as title sponsor of the prestigious 2014 Formula One Gulf Air Bahrain Grand Prix. Alongside this and with 64% Bahrainisation, Gulf Air continues to be a key employer committed to developing a national workforce of aviation professionals. 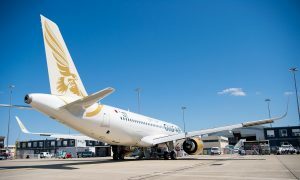 Gulf Air’s 2014 financial results were audited by the international accounting firm Ernst and Young and approved at the AGM in the presence of representatives from Bahrain’s Ministry of Industry and Commerce and the airline’s external auditor.